I am sure you’re feeling the weight your 2017 goals and the projects you have laid out. In the midst of completing your to do list you can quickly miss the significance of investing in your key leaders and the teams they are leading. One thing we teach at DREAM Workplace is the importance of principle-based leadership, understanding that the values you live by create the most change in your leaders and the culture you’re creating. 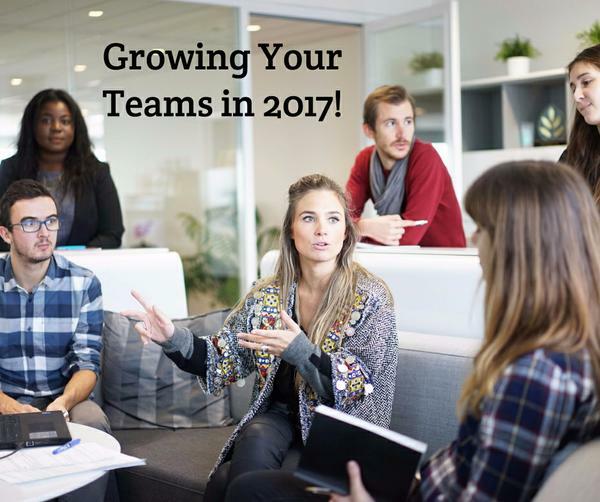 Therefore, we’ve outlined three quick principles you can grab onto to start implementing today with your teams! Intentionality: Nothing gets better by itself. I am sure as you reflect back on 2016 there are projects and people which you know coming into this year need to be addressed. In each area, you are wanting to see change and growth and the reality is without INTENTIONAL FOCUS those changes will never happen on their own. Take note of where you want to see advancement and be ruthless at ensuring these tasks are at the top of your priority list. Ownership: What you tolerate, you promote. Anyone who gets away with something today, will try to get away with something more tomorrow, and that includes you as well. It’s the little things throughout your day and week which really add up to the big things. Don’t let bad attitudes, delays in project deadlines or other areas of concern keep being pushed to the back burner. Face them head on and see how owning those little details really make the biggest difference! Success: Doing what needs to get done regardless of how you feel. Successful people do the things unsuccessful people don’t enjoying doing. They don’t like them either but regardless of the circumstances or how they feel they do them anyway. By putting off a project or difficult conversation it’s not helping your business or team move forward. Start today by deciding when you will tackle that area. Of course there are so many great principles we could outline here but we wanted to give you a few to hopefully jump start and give you some increased passion as you lead your teams!